Ziland Sports Marker Cone 500 Set is ideal for grass, play grounds or sports halls, used to mark out field areas, goal areas, obstacle courses etc. 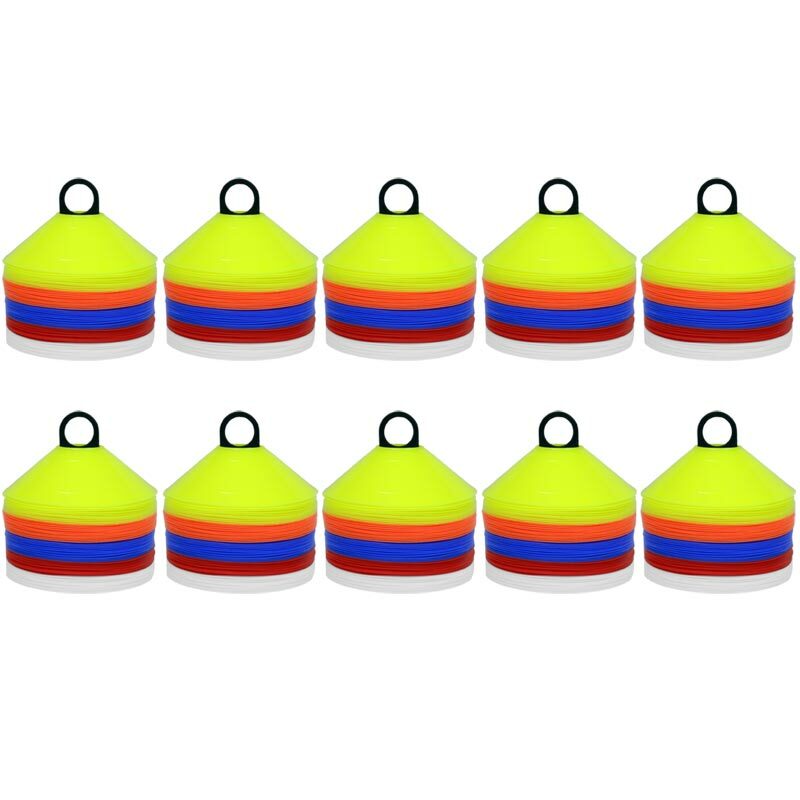 10 x Ziland Sports Marker cone 50 Set. One set includes 10 x Blue, Orange, Red, Yellow, White. Dimensions: 19cm diameter x 4.5cm high.